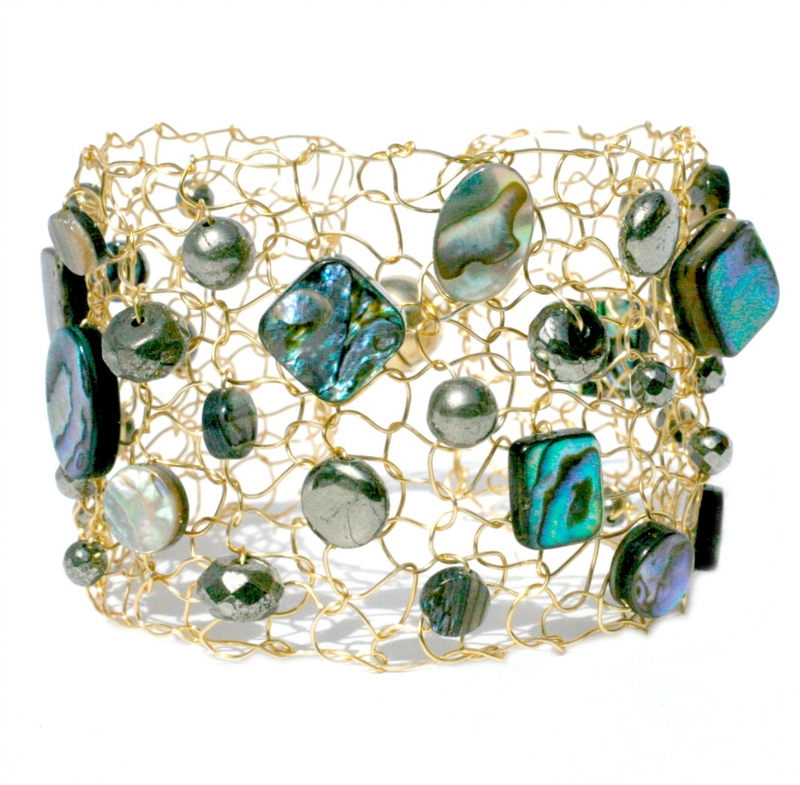 New for Summer 2015 this gorgeous gold wire mesh cuff is dripping in abalone shell and pyrite. 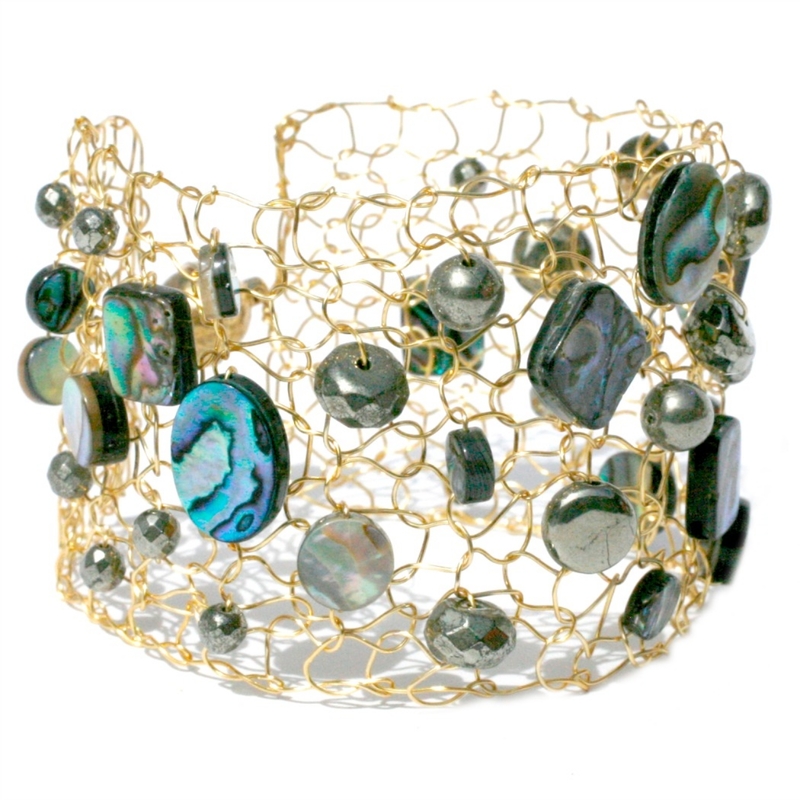 The fine gold wire is hand knit with all of the semiprecious stones dancing about into the piece. It is finished with a large strong magnet for convenience. Pleas indicate wrist size at check out, as each piece is custom knit to size. 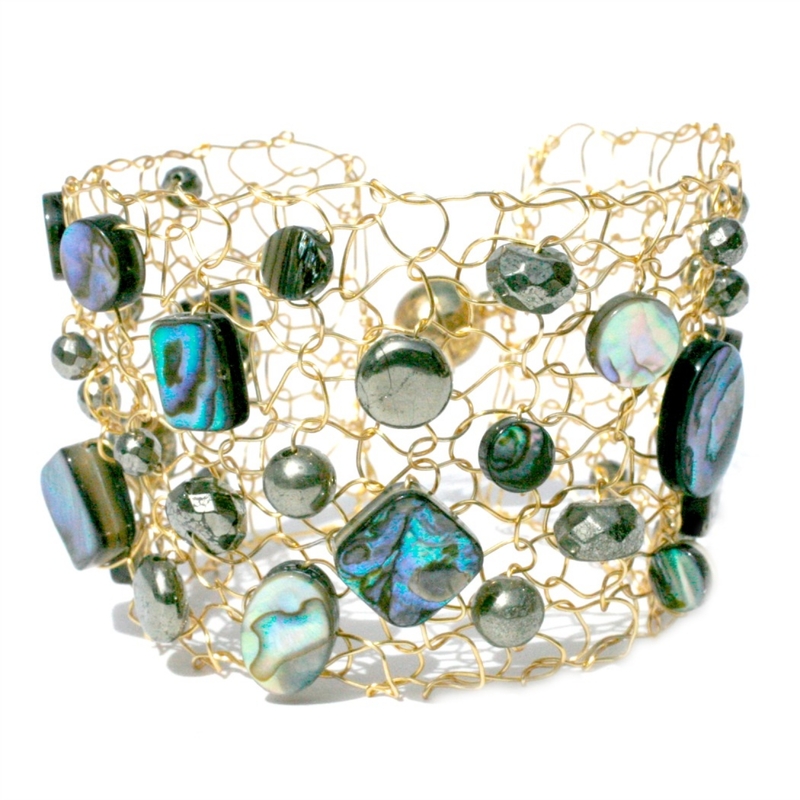 The abalone shell is mesmerizing and the pyrite coins and facted rondelles lend themselves beautifully to this cuff bracelet. This piece measures about 1 1/2" wide on the arm. If you need this piecein the thin width or wide width, just let me know.